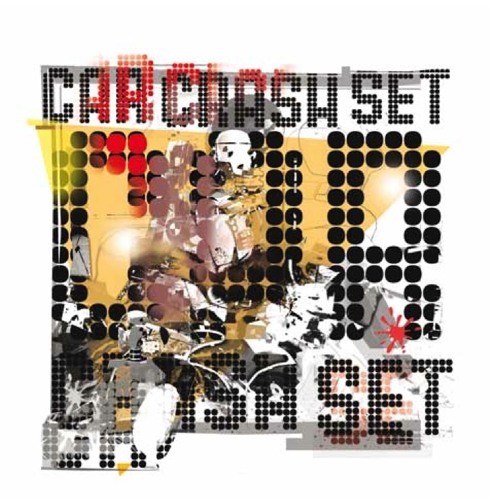 CAR CRASH SET were one of the very few electropop acts coming out of New Zealand and have released several vinyls nationally between 1983 and 1986. Basically, the CAR CRASH SET consisted of synthesists/composers David Bulog and Nigel Russell and guitarist/producer Trevor Reekie, and was formed in late 1981. They created such outstanding electropop songs with a Roland TR-606/808 and such lovely sequencing, - e.g. “Fall from Grace” is definitely a song that Anna will take with her into her grave – that it is indeed a shame that they didn’t receive more attention. Anyway, their 1983 12” ‘Two Songs’ (including “Outsider” and “Fall from Grace”) and the V/A ‘We’ll do our best’ LP (including CAR CRASH SET’s “Toys”) are at least highly collectible items amongst electropop connoisseurs and many people will be happy to see these tracks being available again as well as four previously unavailable demos from both their earliest and later days. David and Nigel were said to be recording again together with only the original Roland gear (“nothing else will do” as David says): TR-606, Jupiter-4, MC-4, System 100m modular and System 104 sequencer as well as Nigel’s Korg MS20… oh well, Anna is prepared! CD features: limited edition of 200 copies, 7 bonus tracks.